Mordian 7th Regiment: 40k Exodite Eldar - Rangers and Nightspinner built! 40k Exodite Eldar - Rangers and Nightspinner built! Not a whole lot of brush time of late with Real Life(tm) munching up more of my free time than I'd prefer, but nonetheless the work continues on the Exodites of the Tanelorn Wood. The force needed a couple more troops choices, and I knew I wanted to do a squad or two of Rangers. A fairly straightforward kitbash, the legs, torsos and heads are from the Wildwood Rangers matched with de-spike-ified splinter rifles. Simple but effective! 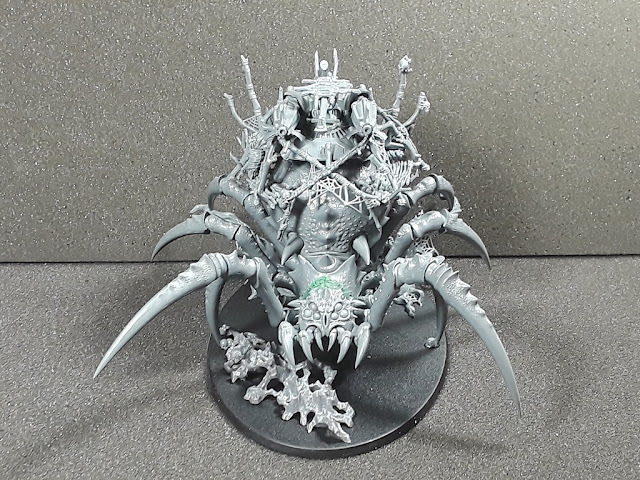 On the other end of the spectrum, the far more complex Night Spinner has taken shape and as a professed arachnophobe this particular part of the project has been thoroughly uncomfortable for me. Hah! It was a toss-up between the Fire Prism and the Night Spinner for the "tank", and as I've been going with a beetles and bugs and assorted creepy-crawlies the opportunity to mix in the Arachnorok Spider was the more theme-y option it seemed. Hah! 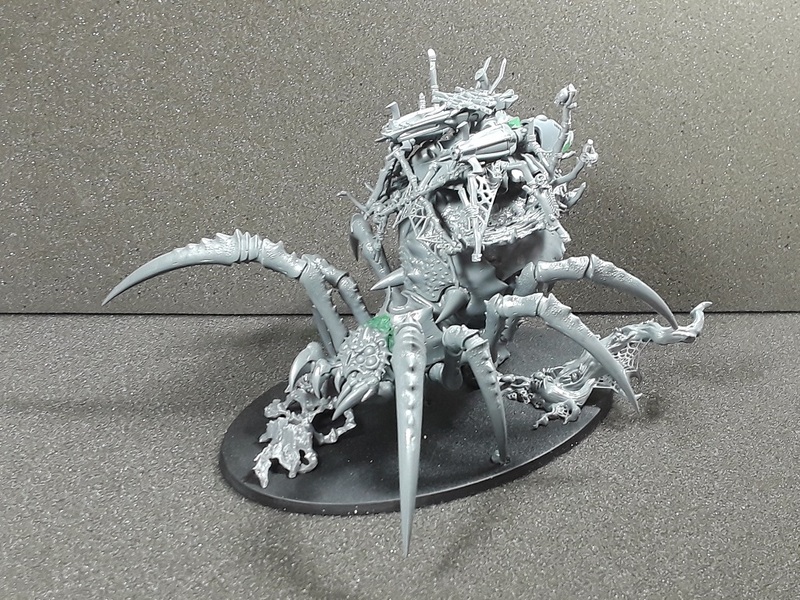 For sure, this model is super freaky. Thanks bud! Looking forward to getting some paint on 'em! The best conversions don't look like conversions; and you've definitely achieved that with the Rangers and Night Spinner. Fantastic stuff! Cheers! I'm quite pleased with 'em so far! Awesome stuff! The squad and monster are great, looking forward to seeing how these are painted up. I appreciate it! Hope to get some brush time in on 'em shortly! Haha! 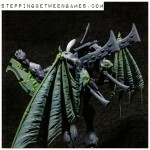 Thanks - I'm not a huge fan of the Eldar in general, but this project has been a hoot so far! Cheers, bud! It's been fun to get back to crazy kitbashing again, it's probably my favorite aspect of the hobby! Being an arachnophobe myself, I find that spider/tank both horrifying and awesome. I'm loving this entire project. It's not getting any better as I'm painting it. Eurgh! Still holding as coolest elder yet! Cheers John! Still enjoying working on it immensely! 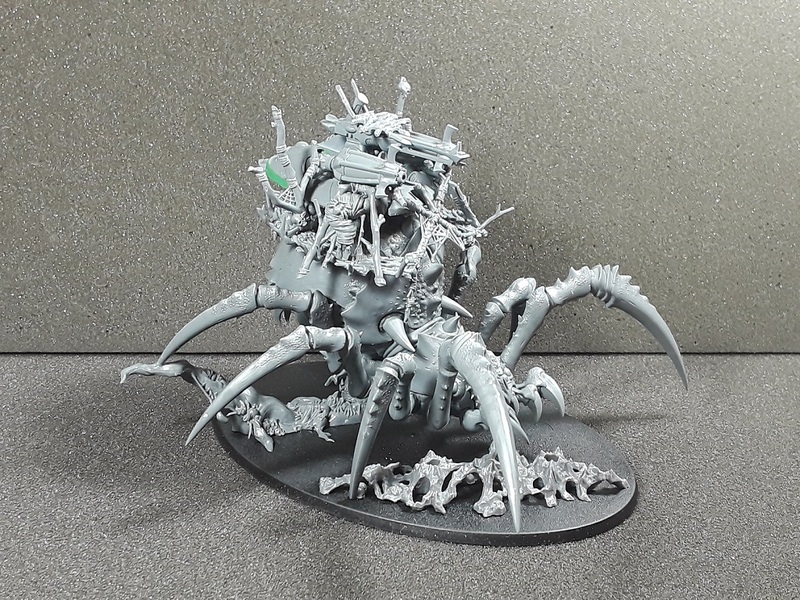 Every now and then, I have an idea for something that the Arachnorok would work for as a base, but I just can't bring myself to work with that Model. Just too creepy for me. I really like those Rangers, tho. Those rangers are so cool! Far better than the official sculpts imo. Night spinner... needs some more soul stones to de-goblin it further?